More than twice the power of a traditional single-coil. The result is a fat, punchy sound; similar to a P-90. It's clean at lower volumes and screamin' when cranked. The hand polished, quarter-inch diameter magnets are matched with a powerful coil winding to deliver great sustain, making this one of our most popular single-coil pickups. 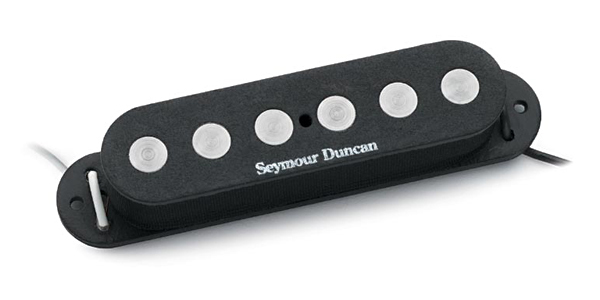 The SSL-4 does not come with a pickup cover and will not allow the installation of any pickup cover, the top pickup flatwork is black and has the Seymour Duncan logo. This pickup is Reverse Wound and Reverse Polarity for installation in the middle pickup position of a Strat to provide hum cancelling in pickup selection positions 2 and 4.